Bobby and Dorothy Henderson moved to Bolivar in April of 1974 with their two sons, Bobby Jr. and Michael, to start Henderson Refrigeration. Bobby Sr. received his education in refrigeration by graduating from Memphis Area Vocational School. He was employed at Faye Rodgers and Son as the primary service technician. The Hendersons operated out of a shop at their house with Dorothy as the secretary for 11 years before building their present location at 219 S. Water St. An addition was built in 2000 to expand the fabrication work area. 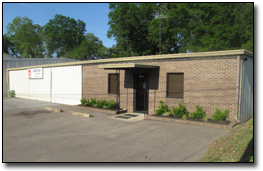 Bobby Jr. joined the business in 1980 after attending Memphis State and graduating from William R. Moore Technical Institute. Michael joined the business in 1983 after graduating from William R. Moore as well. After the business was restructured, the name was changed to Henderson Heating & Air Conditioning LLP. 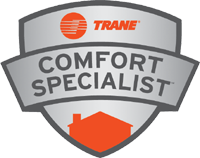 The Hendersons have been a Trane dealer for 18 years and a Trane Comfort Specialist since 2001 with a 97% approval rate. Henderson Heating & Air Conditioning has been serving Hardeman County and the surrounding area for 36 years. As a family run business, we take pride in our work. We try to make our customers feel as if they are part of our family.